Stone patios and walkways are an elegant way to transform your landscape into usable space for dining, entertaining guests, sunbathing, or getting to and from your car. Stone exudes a more natural and visually appealing look than plain concrete, and has the strength and endurance to give you a beautiful patio for many years to come. 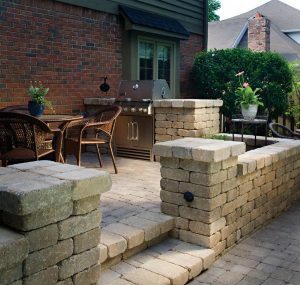 The professionals at Dakine Landscape Contractors put unprecedented amounts of care and attention to detail in every project, and it shows in the final quality of your new stone patio or walkway. 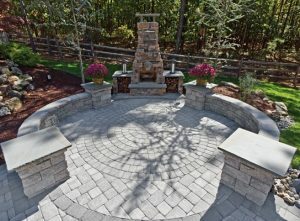 We take the time to plan and prepare the location for your new patio; the result is a lifetime that will far surpass your average patio construction, especially here in Colorado where poor preparation will let our yearly freeze-thaw cycles ravage your brand new flagstone or paver patio. The process begins with a visit to your home to collaborate and meld your vision with our expertise in design. We’ll create a plan that’s not only beautiful, but also practical for your home. 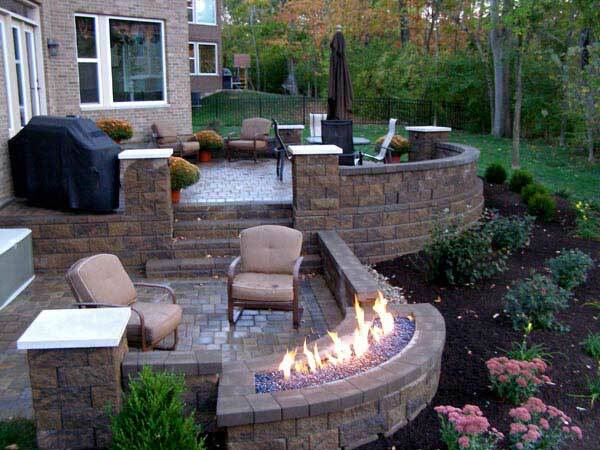 There are several construction methods to consider when designing your new patio. Dry-laid stone allows for greater flexibility and offers the ability to make corrections if significant ground movement occurs in the future. 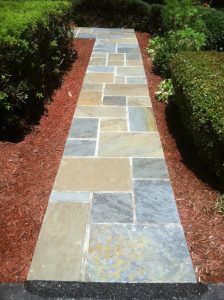 Wet-laid stone achieves a more permanent finish to your patio and creates a lasting and beautiful surface to enjoy. Another consideration is your choice of stone. When a decision on materials and construction process is made, our designers create a visual layout of your new patio or walkway. Once the final design and quote is approved, we’ll build a construction timeline to complete the work. 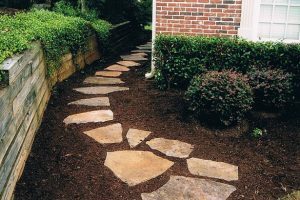 We start by marking the boundaries of your patio or walkway and identify the slope needed to divert water away from your home. We then dig down to accommodate for a minimum four inch compacted roadbase and top it off with an inch of compacted sand. By taking the time to build a proper base, we create an environment which allows water to drain out and away from the paver patio or flagstone patio without significant movement in the ground below. It’s the first line of defense against buckling and shifting during the ruthless Colorado freeze-thaw cycles. Our stone masons then lay the pavers or flagstones out to match the design and boundaries of your new patio. We then secure the edges of the patio or walkway with mortar to further prevent horizontal expansion. With the stones set in place, we fill the joints with sand, creating a pathway for water to flow down through the patio and into the ground instead of allowing it to pool on top. When Should You Install Your New Patio? Dakine Landscape Contractors builds patio’s year round! While we do our best to not disturb your lawn, heavy machinery can still have an impact on delicate plant life, so we recommend finishing all of your construction between growing seasons. If you’re building a patio in the warm months, don’t worry! We have the knowledge and expertise to make your lawn and plants look as good as new so you can get back to enjoying your landscape in no time.